Bran: words from the wise or an outdated tradition? Bran, often in the form of a bran mash has long been fed to horses as a source of fibre, as a perceived laxative or as a warm and palatable feed for sick horses or those with poor teeth. However, should these feeding practices be considered as words from the wise or an outdated tradition? One of the biggest problems associated with feeding bran is its very high phosphorus content. The ratio of calcium to phosphorus in the horse’s diet should be ideally maintained at 1.5-2:1 (1.5-2 times more calcium than phosphorus) but in comparison, bran contains 10-12 times more phosphorus than calcium. High levels of phosphorus decrease calcium absorption, and can result in deficiency. In extreme cases calcium is drawn from bones (where 99% of calcium is stored) causing them to weaken. Although far less common now, feeding large amounts of bran and consequently high levels of phosphorus, can result in ‘Millers Disease’ (Nutritional Secondary Hyperparathyroidism); a condition which eventually results in thickening and distortion of bones caused by lost minerals being replaced with fibrous tissue. Feeding small amounts of bran on an infrequent basis will not cause major mineral imbalances, but as we all seem to appreciate that new feeds should be introduced gradually, why make an exception for bran? Abrupt dietary changes can have a negative effect on the hindgut microbes responsible for fibre digestion. Bran itself does not act as laxative, regardless of whether it is fed wet or dry instead, any ‘laxative effect’ is likely to be the caused by the disturbance or irritation of the gut. In humans fibre (including bran) can increase the bulk of stools by helping them to retain more water and consequently making them easier to pass. 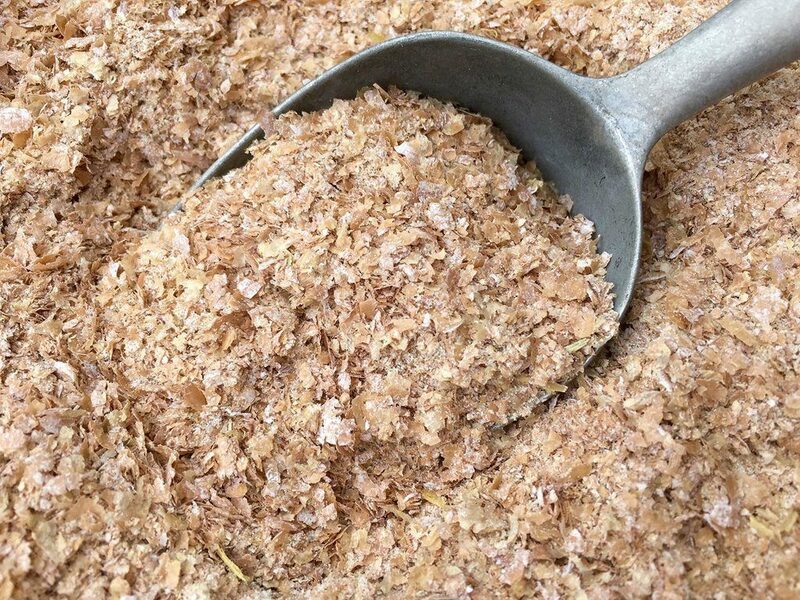 However, fibre requirements in horses are much higher and whilst bran does contain fibre, the content is much lower (10-12%) than in modern balanced mashes such as SPILLERS SPEEDY-Mash Fibre (24%) or SPILLERS Senior Super-Mash (20%). Many of us reach for a mug of hot chocolate or soup in colder weather and whilst a feeding a warm bran mash may be a comforting thought, it will not continue to keep your horse warm after he has eaten it. As a result of fibre fermentation in the large intestine, the digestion of hay and other forages produce heat (regardless of the weather) and is much more effective at warming your horse from within. Whilst feeding bran in small amounts to adult horses is unlikely to cause serious harm or deficiency the perceived benefits are based largely on tradition. So may be its time to consider whether adding bran to your horse’s diet is really necessary as there are much better alternatives available on the market today. I no longer feed it but fed my pony bran when I was a girl (as did my father and mother before me). In those long lost days, modern feeds and mixes seemed like science fiction! However, to counteract the high phosphorus imbalance I also fed a measure of limestone flour. Regrettably this is how myths get perpetuated..Firstly alarge proportion af the Phosphorous is in the form of Phytic phosphorous. In this form it is largely unavailable to the animal. Secondly . Millers disease is regularly trotted out as a reason to not feed Bran. It gets its name from the fact that it was often seen in cart horses belonging to flour millers. This was in pre industrial revolution times. Flour milling left a lot of flour in the bran and it therefore had a lot of digestible energy. Horses would be fed almost entirely on it . Often not even getting hay. It was the fact that the flour was disastrously low in Calcium that created the problem rather than the Calcium / Phosphorous ratio. The amount of Bran a horse gets fed nowadays is going to have precious little effect on the Calcium /Phosphorous ratio. It is also worth remembering that Alfalfa is rather high in Calcium.